If an old geodetic observatory exists in the forest, but no one is able to find it, does it even exist at all? This is the question that two Boston-area hikers, Brian DeLacey and Bill Ricker, set out to answer in January. Scrambling over rocks and searching through historical databases, the story that they uncovered about MIT’s first geodetic observatory revealed not only some of the history of geodetic studies at MIT, but of the role that the local community played in the observatory’s development as well. 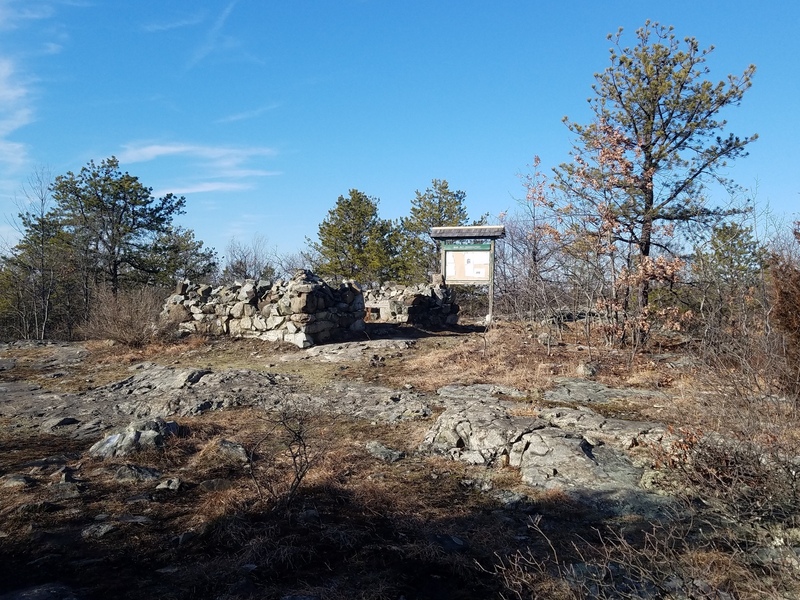 The observatory’s mystery began to unravel one fall evening when DeLacey, a Malden native, was hiking through the Middlesex Fells with his wife. 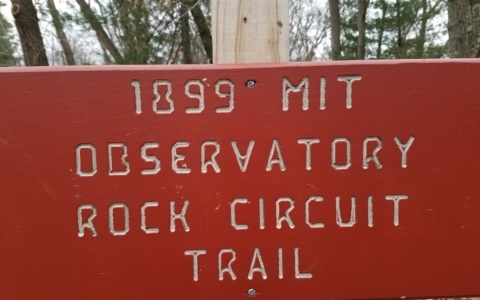 Near one of the Fells’ parking lots off of Fellsway East lies a small vintage sign, painted in MIT’s signature carnet red, that reads “1899 MIT Observatory Rock Circuit Trail.” The sign’s suggestion of MIT history and scientific observation of the Fells piqued the interest of DeLacey, who had previously partnered with people at MIT. Following his curiosity, he and his wife stepped foot on trail to try to uncover where – and what – the observatory was. 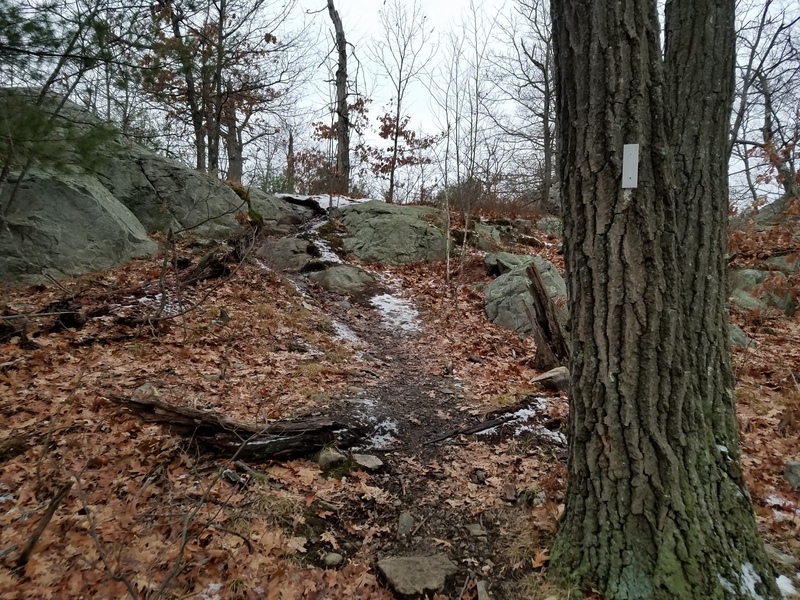 The path that the sign points to is rocky and moderately challenging, and led to an ultimately unsuccessful initial hunt for DeLacey and his wife. The couple climbed over boulders, asked passing hikers for directions, and searched for trail maps, but as the sun began to set they were forced to turn around without having found the observatory. Returning home, DeLacey determined to uncover the mystery of the missing observatory. What he found out was both ironic and exciting – the observatory had been placed there for the development of geodesy, a complex science that focuses on locating things on the surface of the earth. For an observatory that was originally built to help locate surroundings, DeLacey noted the humor that existed in his inability to find where the observatory itself was located. “It is a historic site essentially about geolocating things, but we couldn’t even find it!” DeLacey said. The field of geodetic observation is about surveying the land to create benchmarks that will help with the locating and mapping of an area. When urban planners were laying out cities and conducting research about the outdoor area, they used geodetic observatories like the 1899 MIT observatory in the Fells as a method of keeping track of locations and distances. “It was a missing observatory,” DeLacey noted, and he aimed to uncover its location, history, and purpose. 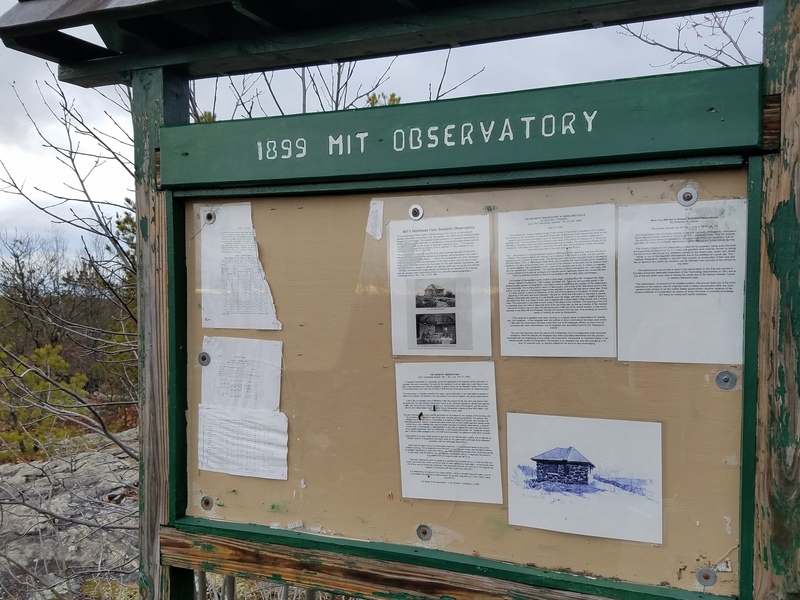 He phoned his friend, Bill Ricker, whom he describes as a fellow hiker and “GPS enthusiast,” and together they scoured old databases, grown-over trails, and MIT history to expose the observatory’s location and historical significance. Their discoveries now lie in a 52-page report that documents the observatory’s entire history – from the meeting minutes in which the observatory’s establishment in the Fells was approved to modern-day photos of the rocky remains. But, if DeLacey’s first unsuccessful jaunt in the woods to find the observatory was any indication of the search process, the resulting research that they conducted did not always provide consistent results. 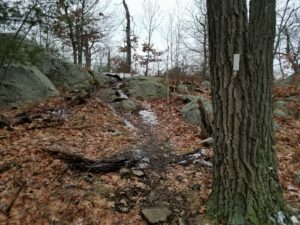 The land that the Fells is on was initially donated to the Trustees of Reservations in 1891, and later was donated to Metropolitan District Commission (MDC), the precursor to Massachusetts’ Department of Conservation and Recreation, in 1923. In minutes that record the November 10, 1897 MDC minutes, MIT’s proposal to build a geodetic observatory in the Fells was documented and approved. According to DeLacey’s and Ricker’s research, the Fells was the perfect location for MIT’s observatory due to scientifically-driven reasoning. 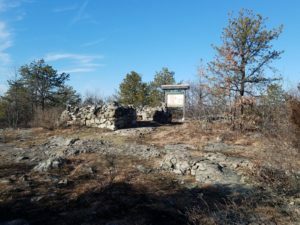 The hill that the observatory sits on is arguably the highest point in the Malden area, allowing the research and observation conducted there to have a large periphery of vision. Furthermore, the land at and surrounding the observatory is rocky and very stable, unlikely to experience corrosion or movement over years. This proved necessary for the observatory’s location as measurements taken from the observatory could be guaranteed to remain fairly consistent over time. In their report, the two self-described outdoors investigators record the path they they took from the parking lot, marking the latitude and longitude of different waypoints where they made turns going from Melrose to Malden. They note that on the path to the observatory, “There is some climbing up and down rocky, steep inclines. Sharp, pokey branches line the path.” An aerial drone video displays the remnants that they came across. Atop a rocky mound lies a square foundation, now crumbling rock and concrete. An old, weathered information kiosk provides a short description and a few photos of the observatory’s history. Looking out into each direction, a lush forest surrounds the peak, with the Boston skyline visible in the far-off distance. 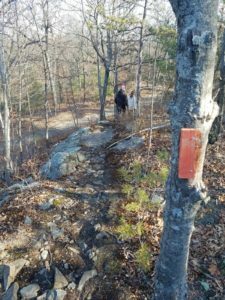 DeLacey admits that even though he and Ricker were able to locate the observatory, the path still remains fairly complex and hidden from the average hiker. He even confessed that on another attempt to locate the observatory on his own, he once again had to turn around empty-handed. “I went back a third time by myself, and couldn’t find [the observatory]. I just couldn’t find it!” DeLacey said. In its day, the observatory was used as a field-based classroom, attracting both MIT students and professionals in the geodetic field. At the observatory, and back in MIT labs, groundbreaking research was conducted on mapping and geolocating in the area. DeLacey noted that the layout of many towns around the Fells can be traced back to the mapping and landmarking conducted at the Geodetic observatory. “It’s a science that helped lay out the fabric of our environment,” DeLacey said. But when MIT’s Haystack Observatory was founded in 1970, the observatory in the Fells was left to disrepair. What had once been a prime location for geodetic observation slowly weathered away, and the paths that had once led hikers and scientists alike there experienced neglect and over growth. Though an information kiosk was added to the site in 2010 by Eagle Scout Russell Blood in partnership with DCR Park Ranger Captain Mike Nelson, who knows the area very well, the sign has now fallen into some disrepair. Now, DeLacey, a team from MIT, DCR, and the non-profit organization Friends of the Fells hope to bring recognition to the observatory for what it once was. “It’s a historic site in the evolution of science, but not many people know about it,” DeLacey said. DeLacey and Ricker hope to document the trails that lead to the observatory so that community members and hikers can easily find it. They also plan to collaborate with researchers at MIT to organize an educational event about the value and history of geodetic observation and instigate low-cost repairs to sign posts and the information kiosk. For DeLacey, the main question he now hopes to address is, “How do we make [the observatory] not fall off the map again?” As a small historical landmark from over a century ago located right in the backyard of many communities just north of Boston, the site of the old MIT geodetic observatory could provide education and engagement about this small spot in the woods and the rich history that it has contributed to the area. Like ancient ruins and old fossils, the observatory can give us a peek into the historical development of the very environment that we are surrounded by today. Do you like this story? You may read DeLacey and Ricker’s full report here: The MIT Geodetic Observatory. 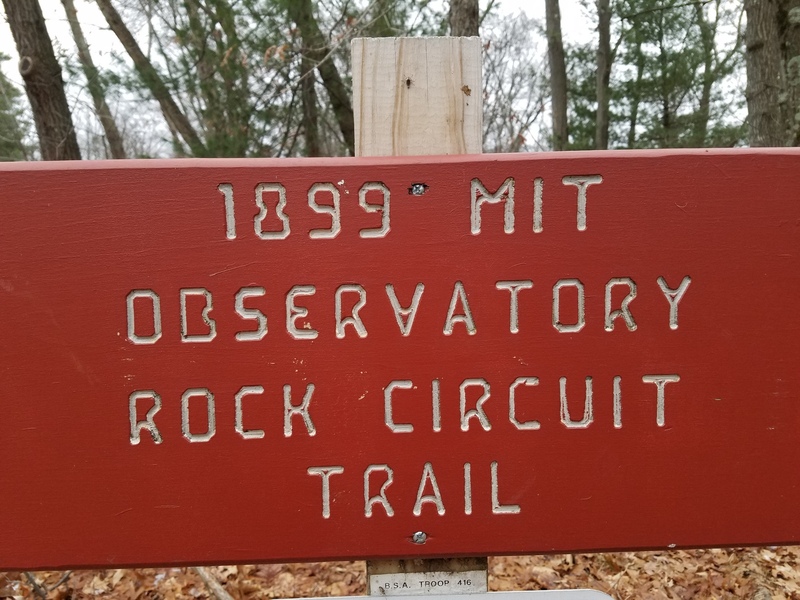 The Friends of the Fells, DCR, Digital Trail Guides, and citizens of Malden are co-sponsoring a Park Serve Day event focused on the historic MIT Geodetic Observatory. People are coming together to help clean-up the area, spruce up the historic site, and tidy up the trails. This public day of service is open to all ages and groups are welcome. Please RSVP if your group is larger than four individuals. Meet at Flynn Rink (300 Elm Street, Medford, at corner of Woodland Road) to arrange your work assignment. Please bring water, snacks, sunscreen, and bug spray to suit your needs. Any required tools will be provided. Lightning cancels, otherwise please dress for the weather. Find out more at http://www.digitaltrailguides.com/ Contact Volunteer Coordinator Lindsay at lindsay@yarsley.com or 413-237-4747. I’ve run by the old observatory several times but I couldn’t tell you how to get there, lol! I also googled it at one time, hoping to find out the story behind it, but had no luck. Thanks to the authors for running down the details! Very cool. We’re been walking by the observatory ruins for over twenty years as it was on our standard path starting at Boojum Rock. It was about ten years ago that someone discovered what they were from an old newspaper clipping. That was when the signs were changed and a display board added at the site. The height of the walls has changed constantly, built up a stone at a time for a while and then torn down to basics in one week, only to be built up again. Check Google Maps. The ruins are not only visible but labeled. Thank you, Mike! We think the message is not so much that they are *completely* unknown, but that they (and the interesting background story) are less known by non-Maldenites and/or those less familiar with the route, which can admittedly be a bit tricky. And that the improvements made a decade ago are due for a polishing! A short history of the MIT Observatory may be found on page 72 of our book Middlesex Fells. The observatory contained on of the two transits used in 1869 to survey the Hoosac Tunnel in western Massachusetts and for navigation surveys during a MIT expedition to Sumatra in 1901. Good story, thanks for sharing. Will have to check it out sometime.